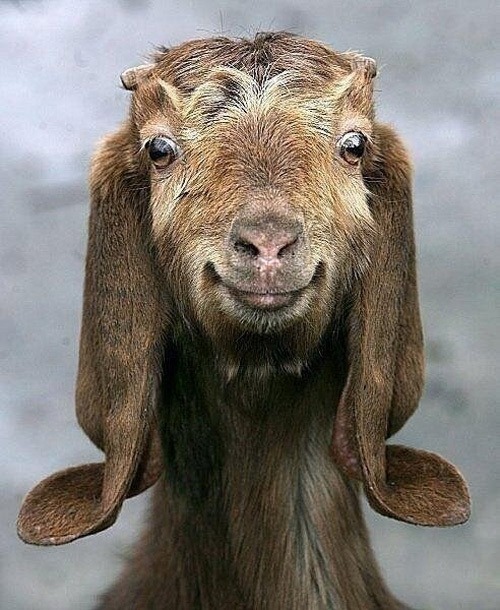 After my last post I think everyone deserves an overly happy goat! I am the girl that was pretty but too smart. I am the girl that you sat and discussed horror movies, sci-fi novels, and molecular genetics with but were scared of because sometimes you saw the darkness peak out from inside me. This entry was posted in Art, Deranged Art, Quiet Insanity, Uncategorized and tagged Addiction, adorable, Animal, goats, happy. Bookmark the permalink.